Mandy Ridley | Cyborgs and goddesses – article, Art Radar, 2013. Art Radar online article, 31 May 2013. For Mythopoetic: Women artists from Australia and India. Group exhibition curated by Marnie Dean. Griffith University Art Gallery, QCA Project Gallery, QCA Webb Gallery, South Brisbane, Queensland. 10 April – 18 May 2013. Exhibition photography by Carl Warner. A group show of works by female artists from India and Australia redesigned femininity for the 21st century woman. 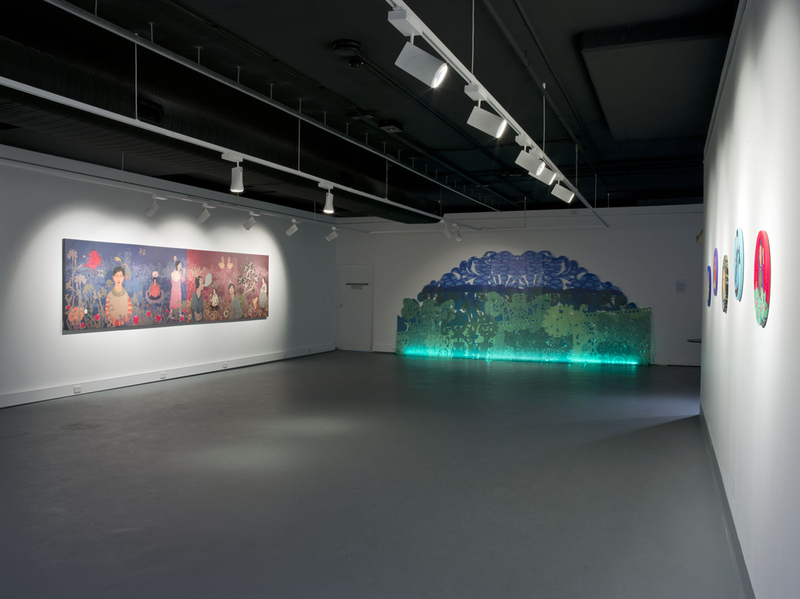 From 10 April to 18 May 2013, Griffith University in Queensland, Australia, mounted “Mythopoetic: Women artists from Australia and India”, an exhibition showing works from 15 female artists. The show debated notions of femininity in traditional myth and popular culture. 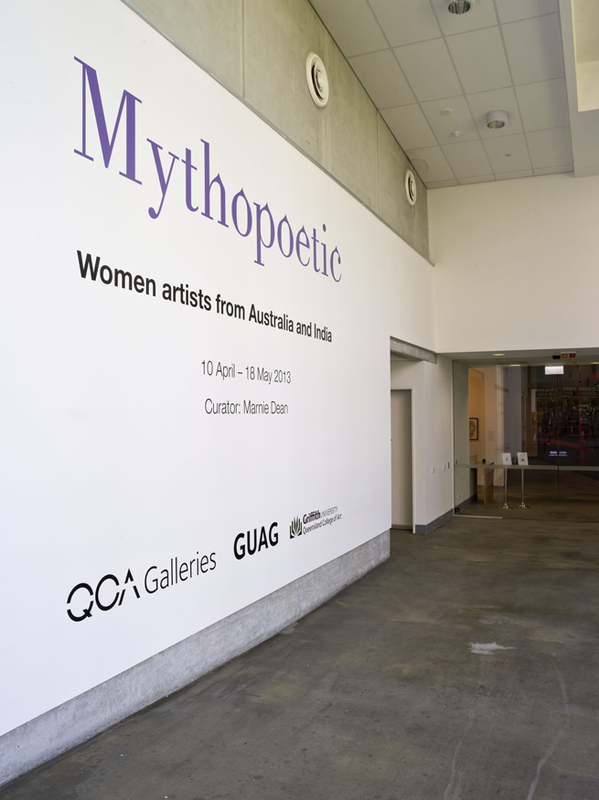 Staged across three galleries within Griffith University’s Queensland College of Art, “Mythopoetic: Women artists from Australia and India” took both its title and its curatorial direction from the term “mythopoeia”, the act of myth-making. In a 2012 article for Art Monthly Australia about the exhibition “Re-Picturing the Feminine: New Hybrid Realities in the Artworld – A Survey of Indian and Australian Contemporary Female Artists”, curator Marnie Dean explains that she was influenced by feminist theorist Donna Haraway‘s essay “A Cyborg Manifesto“. Referring to the theorist’s declaration that she would “rather be a Cyborg than a Goddess,” Dean states that last year’s exhibition aimed to present a multifaceted perspective on femininity, rather than the traditional binary view. Female artists are developing unique and sophisticated oeuvres with visual languages that embrace pop culture and are, collectively, re-writing or creating new mythologies. The Ramayana is seen as the national epic and the rule of Rama – Ramarajya – is seen as the ideal governance, invoked by Gandhi during the nationalist struggle and now used by Hindu fundamentalists. ‘The Passion’ takes a sideways look at the place of women in this ideal state. The exhibition’s curatorial statement highlighted works which, although created by artists from realities as diverse as South Asia and Asia-Pacific, deal with universal feminine archetypes and borrow myths from different cultures. Australian new media artist Di Ball used the Hindu goddess Kali to examine individual identity, and Kate Beynon, also Australian, used Ancient Greek mythology to challenge preconceptions about femininity. 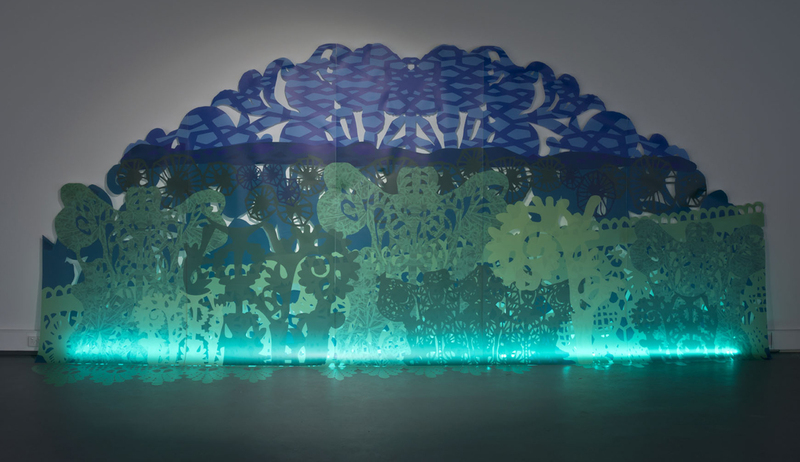 In an artist’s statement on her website, Mandy Ridley noted the importance of the body to her work for “Mythopoetic”, describing the idea of the body as “very present” during the creation of her multimedia landscape Sometimes I feel my heart will burst (2012). Indian multimedia artist Sonia Khurana explored the idea of the artist’s body as a landscape through an installation that combined video and performance. The increasing attention paid to women’s rights in South Asia has activated a resurgent feminist movement among the region’s female artists. Anupama Srinivasan, director of the 9th IAWRT Asian Women’s Film Festival 2013, held in New Delhi in March, said that women were now treating art events as a springboard to make a stand against gender discrimination in the country.